Google used the same baby elephants in a playful doodle tossing balloons and chomping on popcorn, to mark the New Year's Eve yesterday. Happy New Year: Google Doodle rings in New Year 2019. 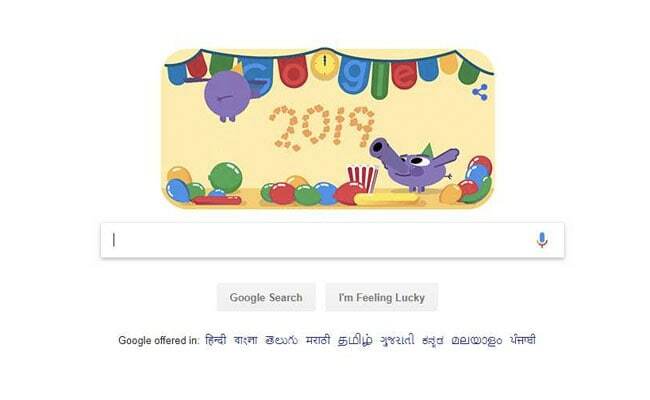 Two purple elephants at a party, balloons and popcorn: This is how Google ringed in New Year 2019 using its famous Google doodle today. "Well, it's time to call out the elephant(s) in the room: it's out with the old and in with the new! Here's to a bright year ahead," Google shared on January 1. Above the elephants, the wall has been adorned with festoons and a clock striking midnight signifying New Year 2019. The search giant used the same baby elephants in a playful doodle tossing balloons and chomping on popcorn, to mark the New Year's Eve yesterday. January 1 is celebrated the world over as New Year's Day as it marks the start of the year in the Gregorian calendar. 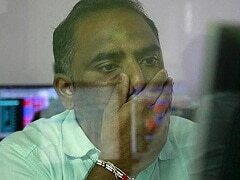 Fireworks, parties and celebrations of all kinds take place a night before on the eve as billions of people around the world wait with bated breath for the clock to strike midnight. More than 24 times in the world (since there are as many time zones spread across the globe) people count down to the moment of midnight to welcome the New Year's Day. In the past Google has used doodles to celebrate prominent people, their achievements and more. Last year, on New Year's Eve, Google had marked the occasion with a doodle featuring a family of birds -- penguins and parrots.